The PlayStation Vita or PS Vita as it gets shortened to is Sony's next generation portable gaming system. It's about time! My PSP still looks sleek but it is is definitely due an update. The PS Vita packs a lot of technology in. It has a bright OLED screen, touchscreen, cameras and rear touchpad (more on that later). It has dual analog sticks as well as buttons. There are sensors for acceleration, motion and GPS location. The Vita has a high spec and it's also network connected. I like it's sleek black looks. It's definitely from Sony! The design means that this looks like a grown up games machines. This will be the mobile gaming choice for lots of adults, teens and older kids. 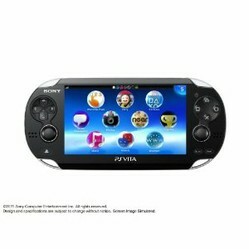 The PS Vita release date is Feb 22nd 2012 in the US and UK. If you can't wait that long, there's a First Edition Bundle coming out a week early on Feb 15th. You get the 3G/Wifi version of the PS Vita plus a memory expansion card, limited edition protective case and the Little Deviants game. 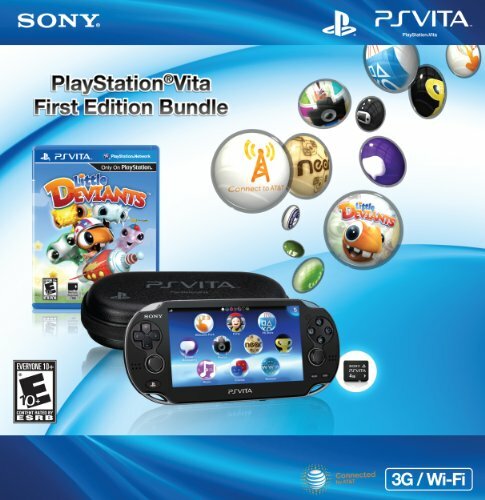 Little Deviants includes lots of mini games designed to show of the many cool features of the PS Vita. No sadly it's not out in time for Christmas. It is available for pre-order already though. This means you can still buy it as a Christmas gift. I've done this before with a pre-order item and printed out the picture and spec from Amazon and then wrapped that up! If it's the gift someone really wants then this is better than getting them an alternative that isn't as good. 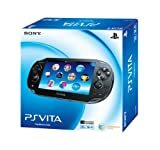 The PS Vita starts from a release price of $249 in the US. I think this is pretty remarkable for the amount of technology packed in here. People just aren't willing to pay high prices at the moment so Sony have had to find ways to reduce the cost. Dual Analog Sticks: These are the round thumb controllers on either side of the controller. This is an important feature for gamers - especially for fighting games. Front and Rear Cameras: The PS Vita can use cameras to create real-world immersive gaming environments. Wifi and/or 3G Connectivity: The PS Vita can connect to the network for downloads and also social and interactive gaming features. The GPS and electronic compass features mean there is lots of opportunity make use of your physical location. Rear TouchPad: As well as the more obvious touchscreen on the front of the device there's also a touch pad controller mounted on the rear. This means you can control a game from behind - without your fingers getting in the way. What a clever idea. Who is the PS Vita for? The PS Vita is a sophisticated portable games machine. It will be popular with older games (like me!) and has lots of games titles aimed at a mature audience. Great for taking on vacation and family trips. Handy for long train journeys and waiting at the airport. Teens and college students will enjoy the PS Vita. There will be lots of social and interactive features for challenging and collaborating with your friends. Younger kids who are serious gamers will like the Vita - you can transfer PlayStation 3 games to the PS Vita. So they'll have an option to carry on playing a game when they get kicked off the big TV or you need to go on a car journey. Do you like the PS Vita?